A Christmas Story on the Riverwalk! Hi all! Travis here with what might be the best piece of Tampa Bay entertainment ever! 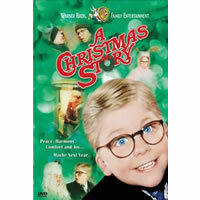 One of my all time favorite movies, and certainly the best movie for the holiday season, is playing this Friday. And here&apos;s the best part...it&apos;s FREE!!!!!!! Here&apos;s a little about the program - come to TBPAC for FREE films and more outside on the Riverwalk! See films that will enhance your enjoyment of the live stage version that&apos;s coming to TBPAC, in addition to other fun and funny holiday films for the whole family! I have already made my plans to be out there, so I hope to see you there too! Keep checking back here for more great things to do in Tampa Bay and other Tampa Bay area events!